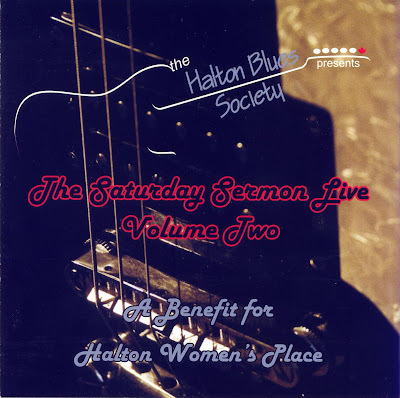 One of the greatest live shows of the year has finally been released on CD, courtesy of the Halton Blues Society. The Saturday Sermon Live: Volume 2is a recording of a fantastic charity concert at Carrigan Arms on May 30, 2009. Money raised went to Halton Women's Place. Click here for our story of the event. The backing group was the James Anthony Band (James Anthony - guitar and vocals on a few tunes, Garth Vogan - bass, Dave Russell - drums, and Mike Doyle - Organ). Joining this talented bunch were an astounding array of vocalists such as April Mazzone, Jack Civiletto, Chris Kenny, Miss Jaye, Jay Douglas, and Hamilton legend Harrison Kennedy (he performs on 3 tracks). The disc is filled with many blues/rock classics like Walkin' the Dog, Malted Milk, Ain't No Sunshine, I Just Want to Make Love To You, and more. Please note that some of the videos have been removed since they were posted. Links: Jacob Moon's Site, Other Jacob Moon stories, Past Christmas videos. 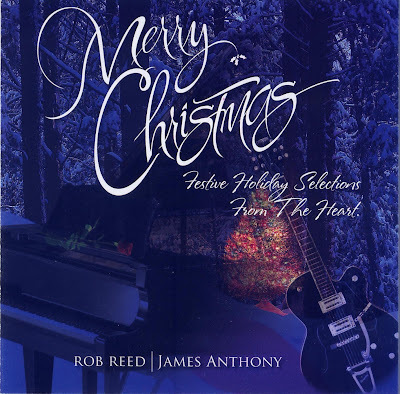 Talented Burlington musicians Rob Reed and James Anthony have teamed up to create a wonderful Holiday CD entitled Merry Christmas: Festive Holiday Selections from the Heart. Rob handles the vocals for most of the traditional tunes such as Do You Hear What I Hear, Have Yourself a Merry Little Christmas, White Christmas and more. James sings mainly his incredible, original yuletide compositions like She Ran Off With Santa Claus, To Be With You, Don't Leave Me Alone A Christmas, and others. So whether you're looking for a slow, soft, seasonal song or an upbeat, rocking holiday tune, this one has it all. Rob and James, who also play keyboards and lead guitar respectively, are joined by Peter Griffin on drums and Garth Vogan on Bass. This was truly a labour of love for everyone. "We went into the studio and played these tunes straight from the heart just for you." it says in the liner notes, "Live off the floor - to your ears. It's 4 guys, their instruments, a couple of vocalists and a lot of soul. It's our Christmas gift of song to you!" The CD is available at their shows. 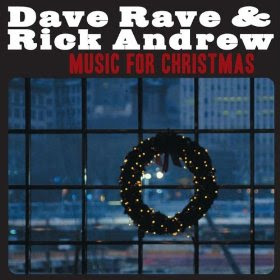 Former members of the legendary Shakers, Dave Rave and Rick Andrew have released a wonderful holiday album called Music for Christmas. It has Dave Raves's usual amazing catchy rock/pop sound but also has elements of country, folk, blues and more. The collection is available on iTunes. This is a great rockin' way to celebrate the season. 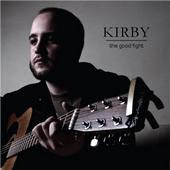 Kirby is a talented local musician who offers incredible modern sounding folk with a bit of an alternative edge. Previously, he was the frontman for First Time Fallen, a Burlington prog-rock band. When Kirby went solo, he concentrated his haunting voice on the folk/roots sound. 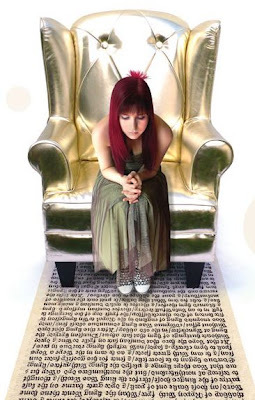 In 2008, the singer/songwriter released an astounding EP, The Good Fight and toured across Canada 3 times. US and European dates are in the works. This is the last Performer of the Week for the year. Local singer/songwriter Ariana Gillis recently released her amazing debut CD, To Make It Make Sense. Ariana skillfully manages to make her music catchy and poppy but still have the heart of the folk/roots sound. Blueberry Ocean (originally available on a Design Hope charity CD in 2008) starts the disc off with a bang. You can't help but sing along and dance. There are exquisite quiet moments to balance things out as well. Her unique voice enhances each tune, regardless of tempo. This wonderful disc came out in time to be nominated for Hamilton Music Awards (Female Artist, New Artist, Adult Alternative). Ariana has also recently won a Canadian Folk Music Award (Young Artist). Joining the talented singer on the album are area performers Josh Lamothe, David Gillis (who also produces), Mark McIntyre and others. Canadian guitar great, Kevin Breit also lends his axe to a tune. 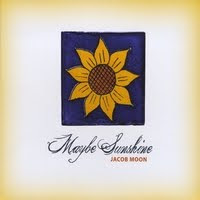 Hamilton singer/songwriter Jacob Moon has released an amazing new 6-song CD titled "Maybe Sunshine". The songs feature his incredible voice and a fabulous folk/pop sound. There are wonderful tender ballads and catchy hooks. All have insightful lyrics. The disc is currently available through his web site for only $10 (PayPal) as well as CD Baby. Looks like the Toronto Blues Society and the Canal Bank Shuffle Festival know there's stupendous talent in the Hammer. 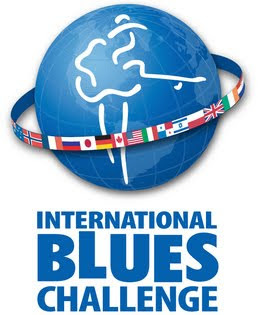 They have chosen our own Alfie Smith and Harrison Kennedy to represent their organizations at this year's International Blues Challenge (Jan. 20-23, 2010) in Memphis. Congratulations and good luck. Here's a list of the Canadian talent that'll be gracing the stage. The Bluesers are fronted by two talented young musicians with vast Festival Experience, Cale Hawkins on Hammond Organ and Vocals along with Chris Cotton on Guitar and Vocals. Winners of The CBC Galaxie Rising Star Competition at the Mt Tremblant Festival Du Blues in 2009. The Bluesers have just completed there all original CD - "The Bluesers 2". The Band consists of Three Members of the Cotton Family along with Cale Hawkins See them perform songs from there latest release while in Memphis at the IBC. Daddy Long Legs play gritty electrified blues full of thick raw tones, smart-mouthed lyrics and razor sharp arrangements. For Daddy Long Legs, playing the blues has nothing to do with nostalgia, or trying to recreate their blues record collections. Rather, it’s about mashing together all the brawn of riff-based garage rock, the soul of 60’s era rhythm and blues, and the jump and shuffle of the west coast and Chicago sounds to create new blues music that is about the here-and-now. With their original material and modern sound, Daddy Long Legs appeal to an eclectic bunch of blues purist, rock-a-billies, swing dancers, and alt-rockers alike. 26 year old Blues Sensation Jesse Greene, lead guitarist and songwriter, fronts her band with deadly guitar chops, a soulful voice, and songs from the heart. 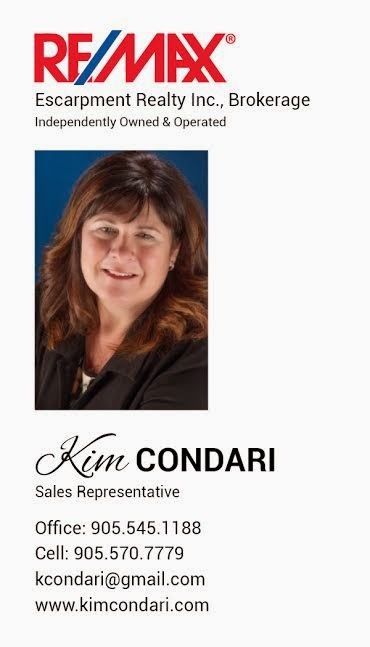 Her music is an eclectic mix of blues, rock, and soul that can bring down the house. Her band is recording their debut album and their loyal fans just can’t wait. The Jesse Greene Band is Jesse on guitar/vocals, Marc Seguin on harmonica, Luke Donovan on guitar, Dan Grewal on bass, and Jason Cote on drums. The band is proud to be representing Canada’s Capital at this year’s International Blues Challenge and plans to take no prisoners. Toronto’s Scott McCord and the Bonafide Truth explode off the stage with their infectious, four-on-the-floor, Stax-flavoured soul, warm hip pocket grooves and rock and roll. In less than one year, Scott McCord and the Bonafide Truth have landed first place at the Toronto Blues Society’s New Talent Search, been featured on CBC Radio 2’s Canada Live, opened for Edgar Winter at the Playing With Fire Festival in Omaha, Nebraska, released their debut album, Blues For Sunshine and brand new EP Love and Sorrow/Mystery Song. Swing-cool, passionate and sitting atop a time bomb of R&B thunder. From soul-belter to crooning, passion-fired singer-songwriter, McCord is the real deal. Julian Fauth’s blues hark back to the pre-war era of barrelhouse and boogie-woogie piano, yet his highly original music speaks directly to today’s audiences. For many people, what makes Julian Fauth stand out is the imaginative, passionate narrative of his lyrics. But it’s the music that truly sets the hook. Julian is a master of blues, roots, and gospel. His piano is energetic, his composition inventive, and his vocals extraordinarily convincing, both husky and poignant all at once. A student and friend of the late great Mel Brown, who gave him his start, Julian Fauth records for the Electro-Fi label. His latest release, “Ramblin’ Son” won the Juno Award (Canada’s Grammies) for Blues Album of the Year. Alfie Smith is a true modern day Blues Man, Blending hard edged Rock and Roll, Gospel, Folk and Jazz with Pure Primal Blues to create his own unique sound. He is adept at many instruments including 7-string slide guitar, banjo, guitar, 12 sting and lap steel. Alfie’s musicianship has earned him endorsements with Godin Guitar, Composite Acoustics, Eastwood Guitars and Stonebridge. Brass & Steel is Alfie’s fifth CD and features 21 tracks. This is Alfie’s first release with Busted Flat Records. The Band is fronted by Two Talented Young Musicians with vast Festival Experience. Cale Hawkins on Hammond Organ and Vocals with Chris Cotton on Guitar and Vocals and Mike Cotton on Drums. Winners of The CBC Galaxie Rising Star Competition at The Mt Tremblant Festival Du Blues in 2009. These young musicians have just completed there all original CD - "The Bluesers 2". See them perform songs from there latest release while in Memphis at The IBC . Don't let his moniker fool you, Mat Toronto is a local musician (and a talented one at that). 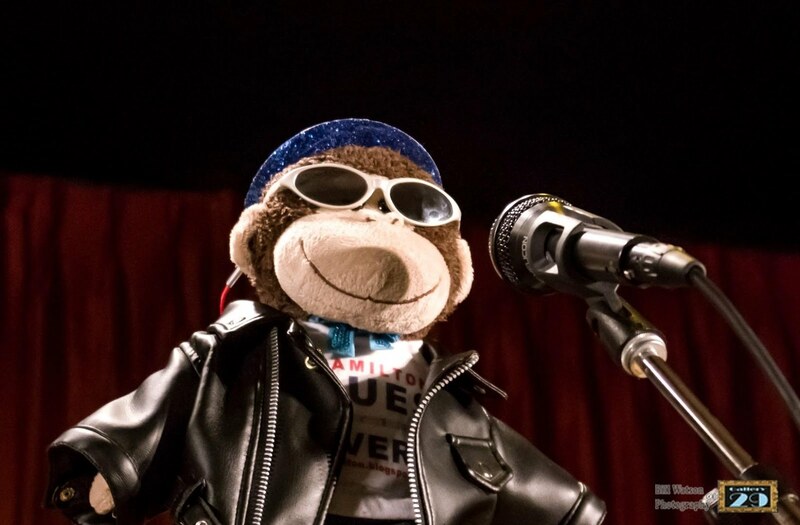 He can sing as well as play drums, bass, harmonica, sax, flute, bongos, piano, guitar and more. On top of being a multi-instrumentalist, he also crosses over into many genres of music. Under the name Blues River Man, he performs incredible, unique hard rock and blues; as Matthew Folk he does great traditional and alt-folk, and also dabbles in electronic jazz with Jam Bodhi. You'll soon be able to purchase more of his amazing work as he's working on a new CD to be released in January of 2010. Congratulation to the winners of the Hamilton Music Awards. The awards were handed out at the McIntyre Theatre at Mohawk College on December 6, 2009. 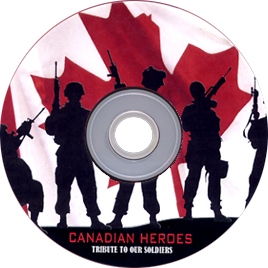 The CD single of the incredible song "Canadian Heroes" is now available to purchase at Dr. Disc in downtown Hamilton. Playing on the track is a Who's Who of the local music scene. These include members of Teenage Head, Juno Award Winning Bluesman Jack deKeyzer on lead guitar, Jesse O'Brien on keyboards, Steve Negus (Saga) on drums and many more. Vocal duties are shared by Tom Wilson, Brian Melo, Ian Thomas and others. Backing vocalists include Kelly Jay (Crowbar) and Sonny Del Rio. Even the St. Michael's Choir joined in. All money raised from the CD goes towards helping our troops. Buy one for yourself and for your friends this Christmas. 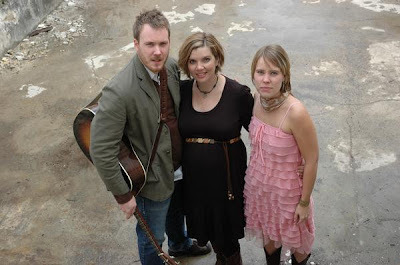 Isobelle Gunn is a talented vocal trio with family roots. Siblings Leanna and Jeremy Zeyl and his wife, Lara Schat-Zeyl make up this wonderful team. They've been singing together since 2006 and released an amazing self-titled EP in 2007. Their song, “Emily,” from that disc received an Honourable Mention in the ISC International Songwriting Competition. 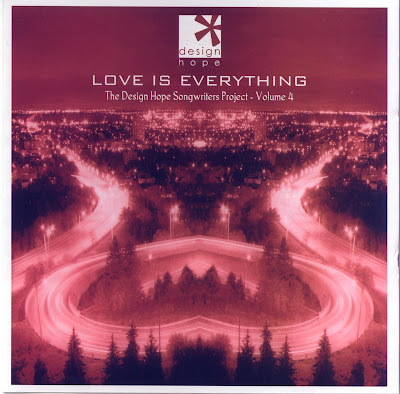 Recently, they also contributed the track, "I Send Up a Prayer" to the Design Hope charity CD: Love is Everything. The group's sound features incredible harmony vocals with a folk/pop feel and just a hint of country on a few songs. Shortly after winning the Canadian Aboriginal Music Award for best Blues album, the Pappy Johns Blues Band played Waltz. First, the opening group, the Retrofit Blues Band, played a few numbers . . .
Joshua Miller (singer/guitarist for Pappy Johns) joined them for a few songs as well. Then the main attraction rocked the place . . . The band were joined by Rebecca Miller on this Otis Redding tune. Fred and Karen take five as Midnight Jon sings a tune with Pete and Dorothy Carey backing him up. Local singer/songwriter, Ariana Gillis won Young Performer of the Year at the Canadian Folk Music Awards on November 21, 2009. Congratulations! Burlington boy, Mike Allen aka Guitar Case Mike, is a master of acoustic folk blues. His music combines deep-down folk music vocals, a bit of boogie, and the old delta blues of Robert Johnson and Leadbelly. 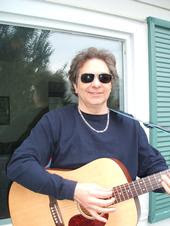 Throughout the years, this talented musician has played in Canada and the US. He performed in rock groups but has since returned to his acoustic roots. On occasion, he teams up with bassist Bill Douglas as the Acoustic Boogie Duo. In 2003, Mike released the CD, Blues, Boogie and Roots. He took classic folk/blues forms and added his own unique spin. Left to right: Christopher Clause, Zander Lamothe, Frank Koren. Every year, around Christmastime, some of the best local artists gather to create an Incredible CD. On November 15, 2009, volume 4 of the Design Hope Songwriters Project was unleashed to the world. Proceeds from these amazing collections go to help feed and shelter the homeless. This year's talent crop include, Christopher Clause, Fred D Smith, Isobelle Gunn, Josh Lamothe, Chris & Christa, Dan Medakovic, Kim Koren, Bob Bryden, Lisa Winn, Hailey Gillis, Amy King, Kori Pop, Shawn Brush, Jude Johnson, and Shelly Addams. 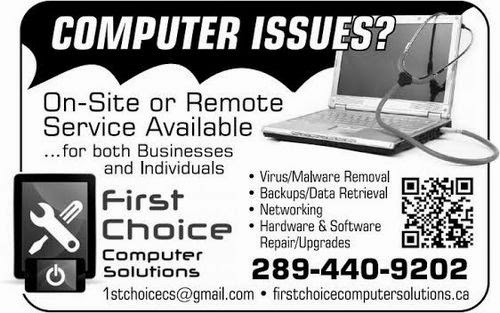 The CD will be available at the front desk of the Spectator, many local retailers, and through the Design Hope web site. Click here for more Design Hope Stories. Below are a few videos from the CD Release party - If you can't see the videos below, click here - Click here for the previous videos from the show. More will be posted soon. R&B and soul are the specialties of this talented, Hamilton-based, 9-piece cover band. They can funk it up with a James Brown or Tower of Power tune; play it mellow with some Joe Cocker and Otis Redding; or rock it out to some Beatles and Stevie Ray. You can definitely get some variety with Backroom 11 as a few of them take the lead vocal spot on different numbers. Click here to purchase/download any of the Design Hope CD or donate money to help the Out of the Cold program.